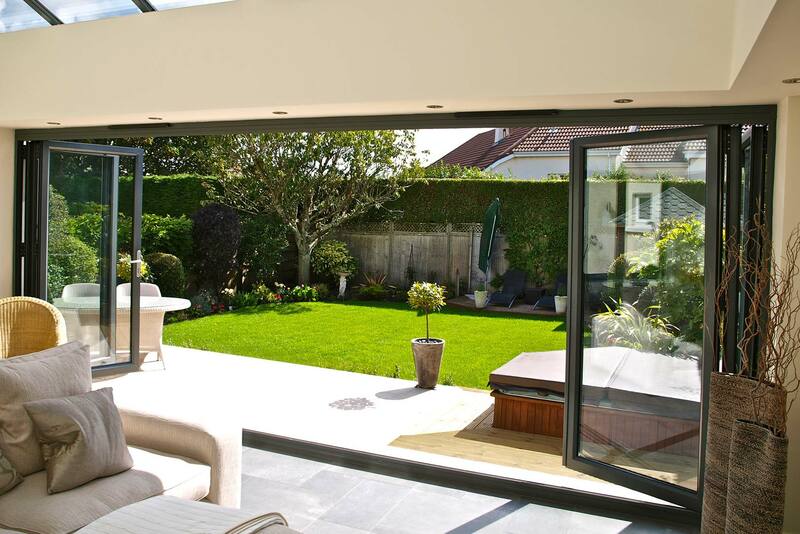 Embrace modern living with these bold and stylish Bi-Folding doors from Camberley Glass and create a flexible space suitable for living and working inside your home. Consuming a minimal amount of space and increasing the volume of natural light into a room, Bi-Fold doors are an ideal replacement for most sliding and French doors. Its sleek design and low profile ensure that a Bi-Folding door is more than just a conventional sliding door. You can blur the barriers between inside and outside your home, transforming your living space into social space. Not only do these Bi-Folding doors offer you the opportunity of beautiful panoramic views of the outside world, they also provide a greater level of security than traditional doors due to its sliding track. As the locking system is spread over multiple points along the sliding track, it provides greater levels of security when compared to the other types of doors which tend to have only one single locking point. Colours? The choice is simply yours. We have a wide variety of colours that can help you to blend in with the surroundings of your home, whether contemporary or traditional.